The album was structurally similar to his earlier "singer-songwriter" albums, and featured some guest artists such as Ray Charles and Cyndi Lauper. Still, the material on The Bridge was not as consistently strong, or popular, as his prior work. 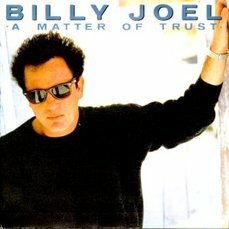 The biggest hit off the album was "A Matter of Trust," a rock ballad about trust in relationships (and a good companion piece to "Honesty"). And the album certainly had its share of melodic tunes such as "This Is The Time" and the duet with Ray Charles "Baby Grand." Billy even swings on "Big Man on Mulberry Street," while "Getting Closer" is a solid soulful rocker about Billy's life and travails in the music industry, featuring a rocking organ solo by Steve Winwood. While The Bridge was another solid album, it lacked the edginess of Billy's most recent works, or the cohesiveness of his earlier stuff. There is less of the angst, urgency, or heartbreak that inspired Billy's earlier work. Instead the songs on The Bridge are either about contentment ("This Is The Time" and "Baby Grand") or mild dissatisfaction ("Running On Ice" "Modern Woman" "Code of Silence" or "Temptation"). 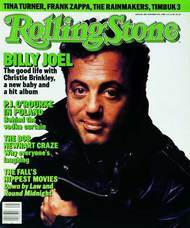 After all, at this time in 1986-1987 Billy was at the pinnacle of his career with a new daughter, a hugely successful Greatest Hits album, a well-received acting (voice) performance in Disney's Oliver & Company, and his upcoming historic tour in Russia and release of the live album of that tour, Kohuept in 1987. While rumblings within the band over money and other issues were beginning to surface, at least in his personal life with Christie Brinkley and daughter Alexa it was a time he would probably look back on as "the time to remember/ 'Cause it will not last forever/ These are the days to hold on to/ 'Cause it won't although we'll want to." While there is nothing wrong with contentment, intense dissatisfaction and desire have often been an artist's greatest ally and inspiration. Rolling Stone critic Anthony DeCurtis, however, warned against construing The Bridge as an autobiographical work. "It's tempting to read the new-found comfort Joel displays on The Bridge in personal terms — this is, after all, his first album since his marriage to Christie Brinkley and the birth of their child. His defensive cockiness has softened into a much more appealing confidence, and he's abandoned the ambitious concepts he's relied on to unify past LPs. "The danger of a biographical reading of The Bridge, however, is that Joel has historically been the least self-revealing of songwriters — a fact that's caused him no end of problems with critics. Whereas most literate rock & roll trades on the romantic illusion of an artist sharing his deepest inner feelings with an audience of sympathetic souls, Joel has always defiantly — and sometimes arrogantly — kept his distance. His theatrical flair, fondness for classic song structure and penchant for styling his vocals to suit the characters he sings about all have roots in a tradition that stretches beyond rock & roll to the formal artifice of Tin Pan Alley and Broadway. Where the masks leave off and the man begins is probably no easier for Joel himself to determine than it is for his listeners. 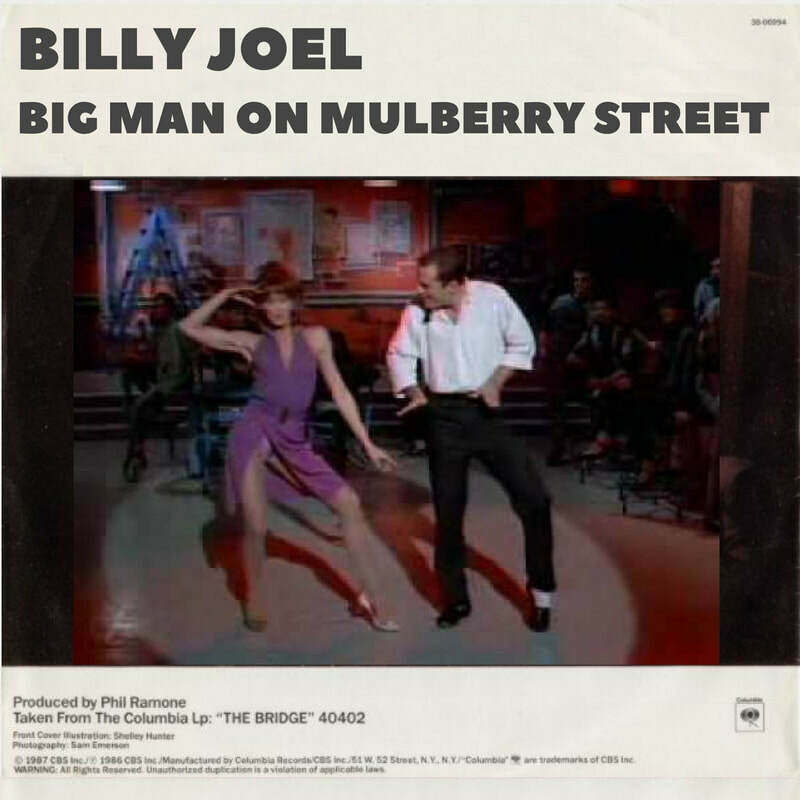 ​ "As he did on his 1977 LP The Stranger, Joel makes this dramatic tension part of The Bridge. . . . "
"The end result of all this conflict — which Joel, naturally, titled The Bridge — arrived in stores on July 29, 1986, and although in some respects it retained the form and function of a classic Billy Joel record, it wasn’t hard to hear the strain behind the scenes. For the first time in awhile, Joel sounded like he was reaching, and not always in a good way. 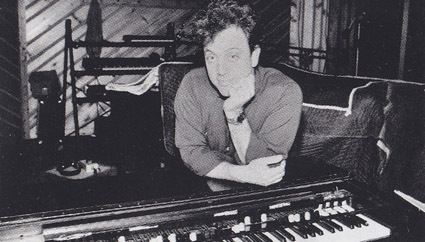 Joel records like Turnstiles and The Stranger were willfully eclectic, but they sounded like the work of a guy whose restlessness pushed him to explore; in contrast, The Bridge sounded like a bit of a hodgepodge. ​. . .
As Billy said, The Bridge was a transitional album marking the end of Billy's "pop star" period and signaling his new marriage, fatherhood, and his upcoming entrance into middle age. 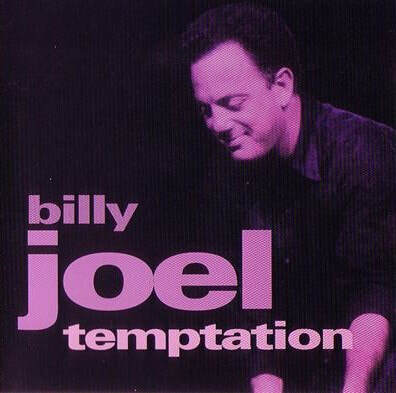 Of course, over the next few years after The Bridge was released, storm clouds would appear in Billy's life that would bring about turmoil and troubles such as the lawsuits with his former manager and attorney and a falling out with some of his longtime band members. 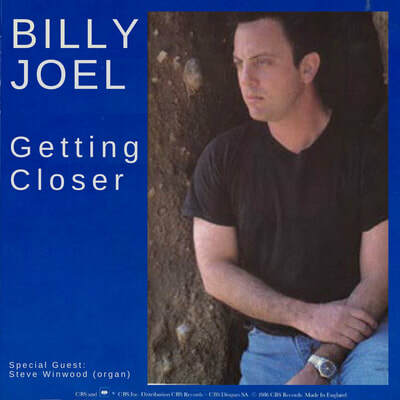 But at the time in 1986, Billy had paid his dues and earned the privilege of taking stock of his life and career, and could authentically say that he was "getting closer" to figuring it all out. 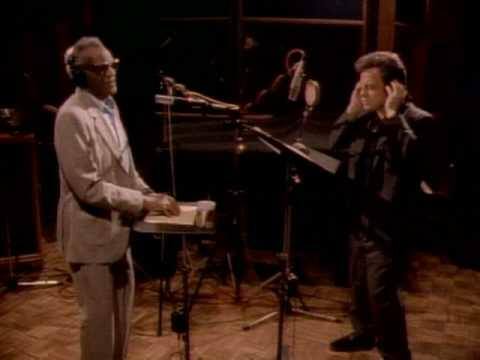 Ray Charles and Billy recording "Baby Grand" (still from the music video). 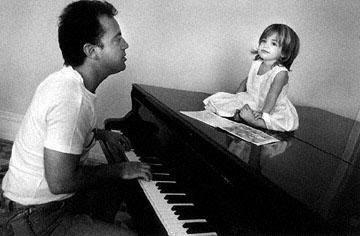 Billy Joel and Christie Brinkley in Russia (1987). Photo: Mary Ellen Mark. 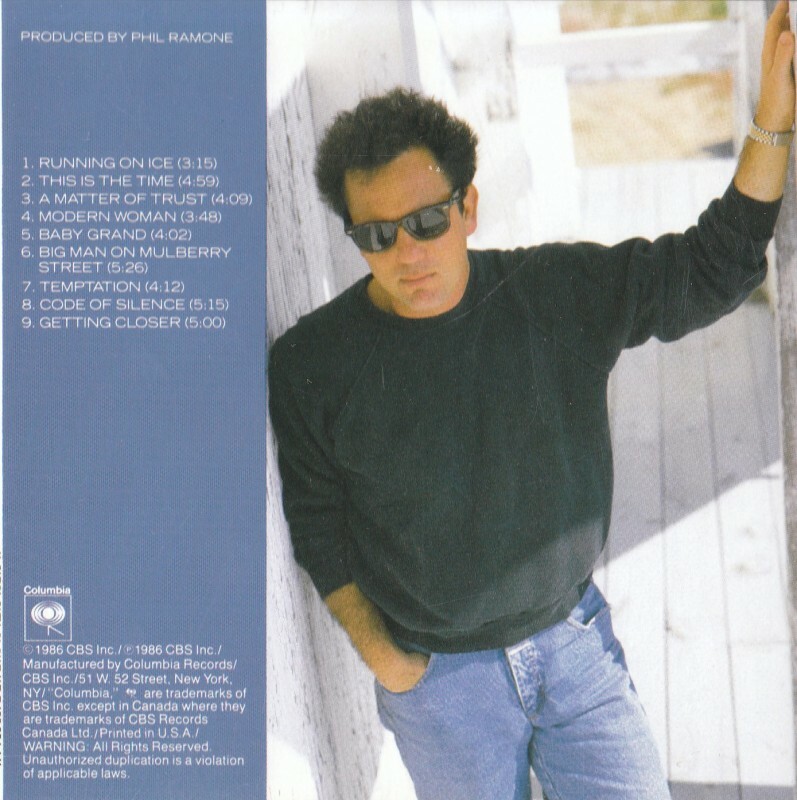 The Bridge's inner sleeve featured many photos of Billy recording such as this one. 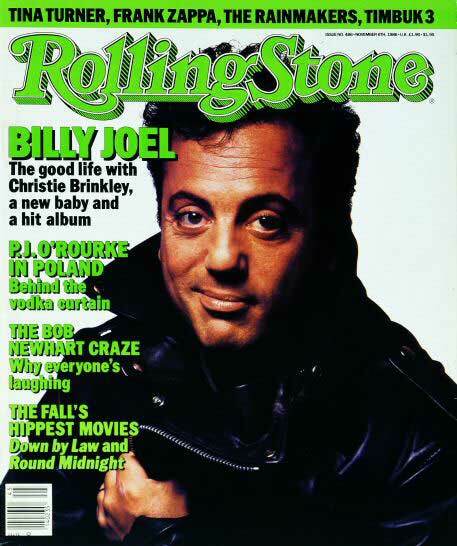 Billy and his The Bridge were the subject of a Rolling Stone cover story (1986). 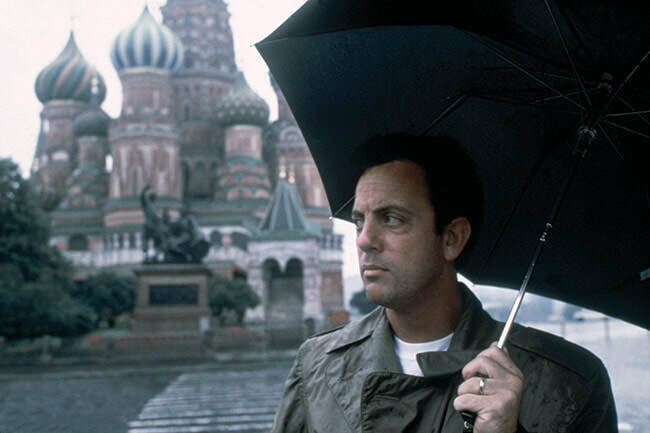 Billy in Russia (1987). Columbia Records publicity photo. 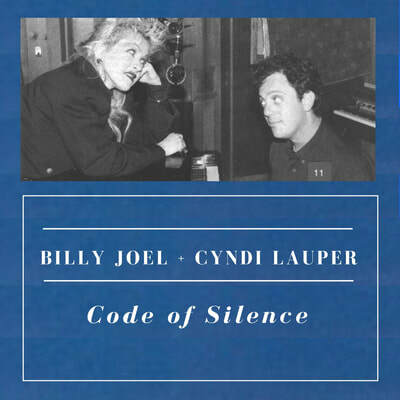 Covers for "Running On Ice," "Big Man on Mulberry Street," "Code of Silence" and "Getting Closer" are fictional. Various Interviews. This playlist feature videos and audios of Billy discussing The Bridge, as well as clips of his historic concerts in Russia in 1987 which concluded The Bridge tour. It also includes a 1988 interview in Japan. Building The Bridge (1986). 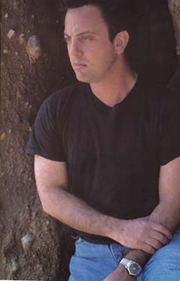 "Building the Bridge" is a documentary on the development of Billy's ninth studio album The Bridge from 1986. Live in Philadelphia (1986) This is a professional shot video of a concert in Philadelphia on The Bridge tour. The video is somewhat grainy, but audio is okay. Live in Russia (1987). 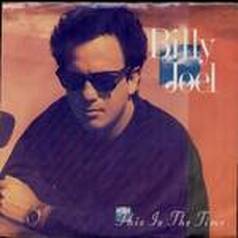 This is a YouTube play list consisting of audio clips and videos of the songs on the albums Kohuept and A Matter of Trust from Billy's concerts in Russia in 1987, at the end of The Bridge tour. Live Misc. Appearances (1985-1986). This YouTube playlist contains videos from 1985 to 1986 of Billy performing. The first two videos are from his appearance at Farm Aid in 1985. Live Misc. Appearances (1987-1989) This playlist consist of videos from various live and television appearances by Billy from 1986 after The Bridge was released, to 1989 just before Storm Front album was released. 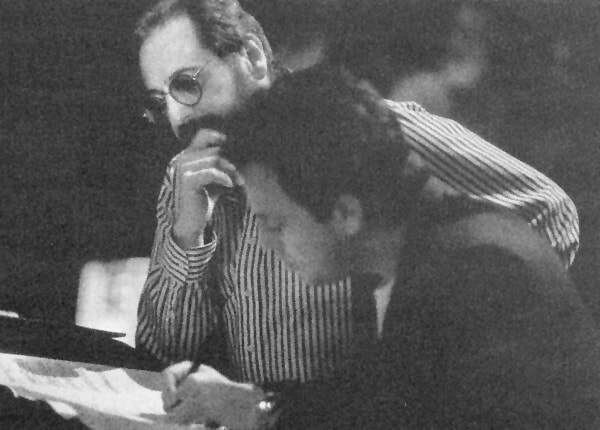 Phil Ramone and Billy Joel (1986). Columbia Records publicity photo. 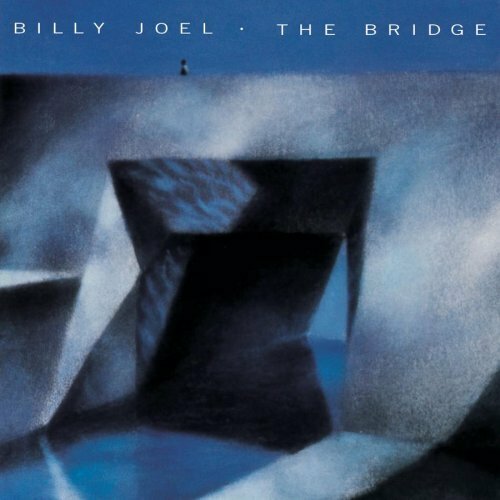 "It's appropriate that Joel has chosen to call this album The Bridge — a title that evokes both the emotional ties the LP stresses and the term for the musical passages that give songs their shape. The album's formal simplicity allows its meanings to emerge in a natural, unpretentious way. The result is a smart, sophisticated collection of songs that seemingly brings us closer to Billy Joel than we've ever been before — and leaves us with a pleasant sense of expectation about the bridges we'll be crossing with him in the future." Copy of print ad available for purchase on eBay by TokyoTim. Digitally recorded at The Power Station, Chelsea Sound (North), RCA Studios, New York, NY and Evergreen Studios, Burbank, CA. Mixed at The Power Station, New York, NY. Direct metal mastering at Sterling Sound, New York, NY by Ted Jensen. 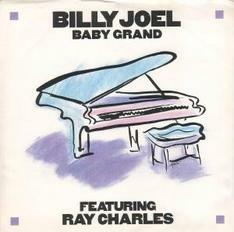 Billy Joel – piano, synthesizers, vocals, Fender Rhodes on "Getting Closer", electric guitar on "A Matter of Trust"
David Brown – guitars, acoustic 12-string and electric guitars on "Code of Silence", guitar on "Getting Closer"
Mark Rivera – tenor saxophone on "Modern Woman", alto saxophone on "Temptation"
Peter Hewlett – background vocals on "Running on Ice"
Rob Mounsey – synthesizers on "Running on Ice"; orchestration on "This Is the Time", "Modern Woman" and "Big Man on Mulberry Street"
Jeff Bova - synthesizers on "A Matter of Trust" and "Code of Silence"; orchestration on "Temptation"
Jimmy Bralower – percussion on "Modern Woman"
Ray Charles – vocals and piano on "Baby Grand"
Vinnie Colaiuta – drums on "Baby Grand"
Dean Parks – guitar on "Baby Grand"
Neil Stubenhaus - bass on "Baby Grand"
Patrick Williams – arrangements on "Baby Grand"
Ron Carter – acoustic bass on "Big Man on Mulberry Street"
Eddie Daniels – alto saxophone on "Big Man on Mulberry Street"
Michael Brecker – tenor saxophone on "Big Man on Mulberry Street"
Ronnie Cuber – baritone saxophone on "Big Man on Mulberry Street"
Marvin Stamm – trumpet on "Big Man on Mulberry Street"
Alan Rubin – trumpet on "Big Man on Mulberry Street"
Dave Bargeron – trombone on "Big Man on Mulberry Street"
​Philippe Saisse – orchestration on "Temptation"
Cyndi Lauper – vocals on "Code of Silence"
Steve Winwood – Hammond B3 organ on'"Getting Closer"
Neil Jason – bass guitar on "Getting Closer"
John McCurry – guitar on "Getting Closer"
Don Brooks – harmonica on "Code of Silence"
Associate engineers: Steve Boyer, Fred Tenny, David Dickson and Bradshaw Leigh. Technical support: Joe Salvatto, Gary Ciuzio, Joe Lopes, Frank Rodriguez, Peter Bergren, Bruce Howell, Cary Butler, Ed Evans, Mark Betts, Steve Buller, Ricki Begin, Audrey Tanaka, Billy Rothschild and Phil Vachon. Support system: Jim Flynn, Barry Bongiovi and The Power Station staff.